A miner’s light was essential to their labor. Without light there was no sight, no work, and no wages. But this essential light was also lethal. Open flames could ignite the inflammable gas especially prevalent in coal mines and mining explosions with hundreds of casualties was a common occurrence in the late 19th and early 20th century. 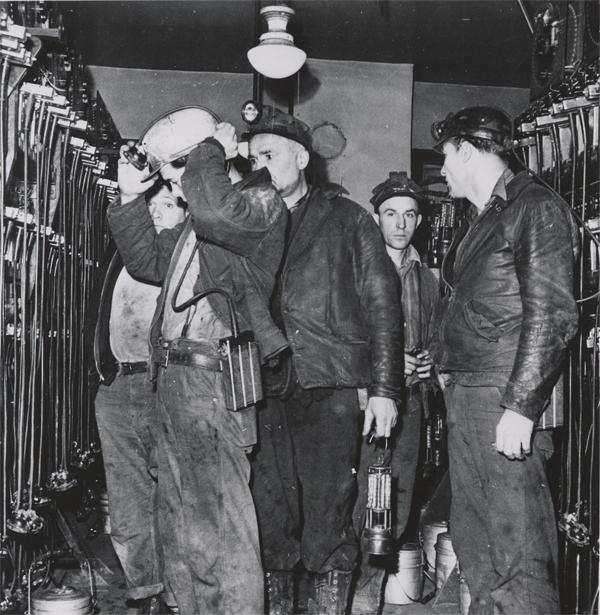 Miners often carried open flames into the mines in the form of candles and hanging lamps, and later wore the open flames of carbide lamps and oil-wick lamps on their caps and helmets. Before 1850, miners would use candles or small lamps that were hung from crevices or hammered into timbers near their work. 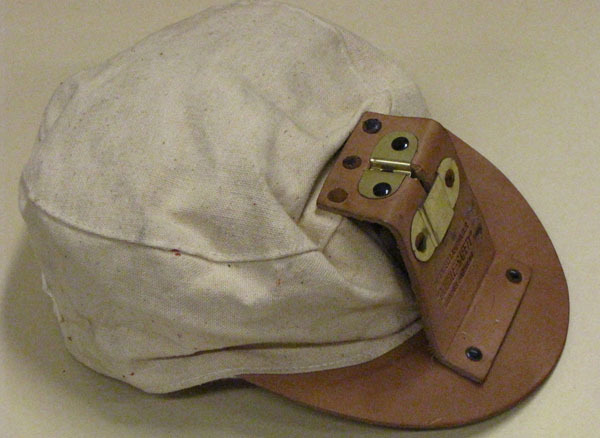 From 1850 until around 1915, miner’s headgear generally consisted of cloth or canvas hats with leather brims and metal lamp brackets on the forehead that allowed them to hang a source of light on the front of their cap. 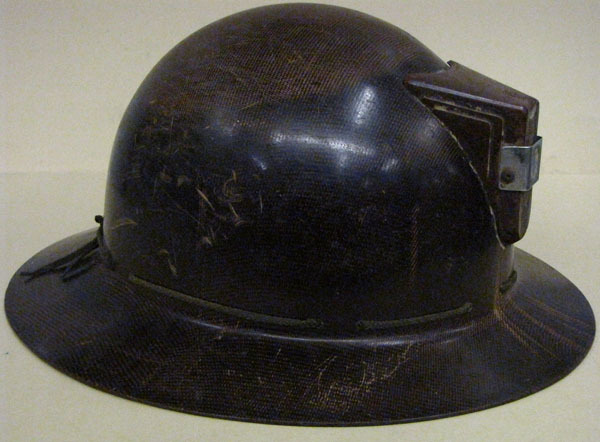 Caps served the ancillary use of protecting the miner’s eyes from smoke or soot and their head from small bumps, but its main purpose was as a mount for their lamps. Carbide lamps were also worn on soft caps. 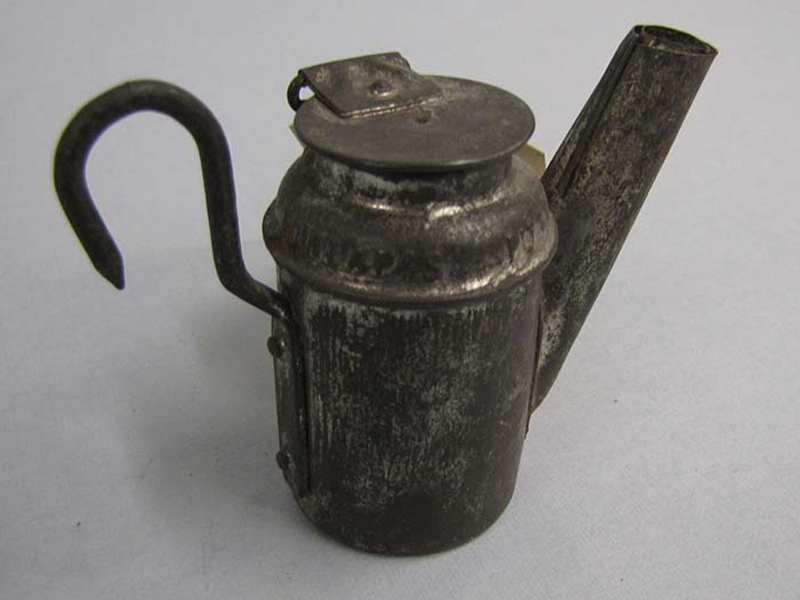 Invented around 1910, the small carbide cap lamp had several advantages over an oil-wick cap lamp. The acetylene gas that powered the flame burned cleanly, relieving the miner from the smoke and soot from oil lamps. 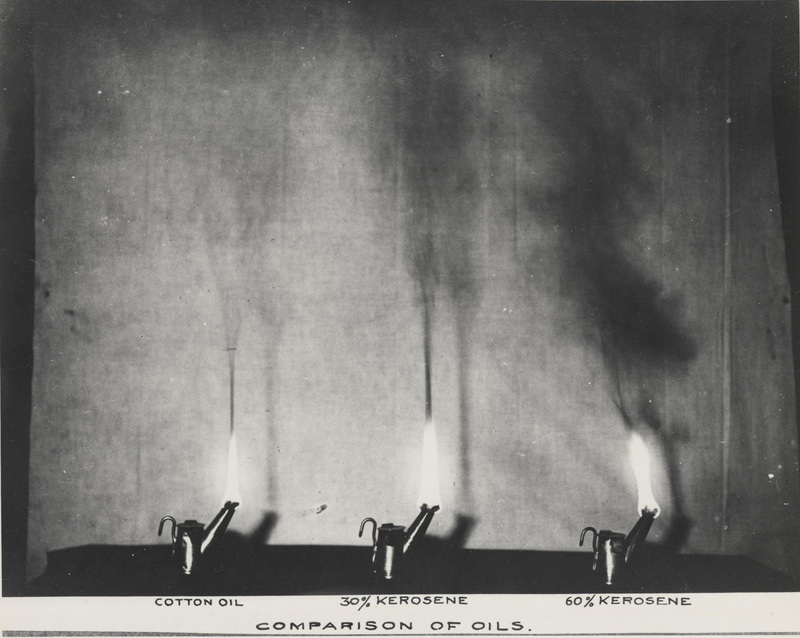 Also, the flame from the acetylene gas burned brighter than oil-wick cap lamps. Carbide lamps often came with a reflector, allowing this brighter flame to be directed and giving the miner a wider range of light. The drawback of the carbide lamp was that its open flame was still capable of igniting methane gas in mines. Even though it was developed in the 19th century, the safety lamp was not enthusiastically adopted by miners. Many miners objected to using safety lamps because they were cumbersome, could not be worn on the cap, and gave a poor light, all serving to reduce a miner’s efficiency. Since most miners were paid by the pound a reduction in efficiency amounted to a reduction in pay, and so the risk of an explosion was worth the reward to many miners. The early 20th century was the deadliest time for miners in the history of the United States. 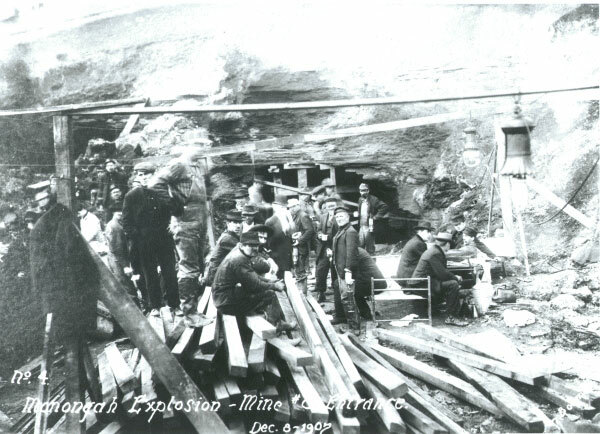 In 1907, Monongah mines number 6 and number 8 exploded, killing 362 miners. 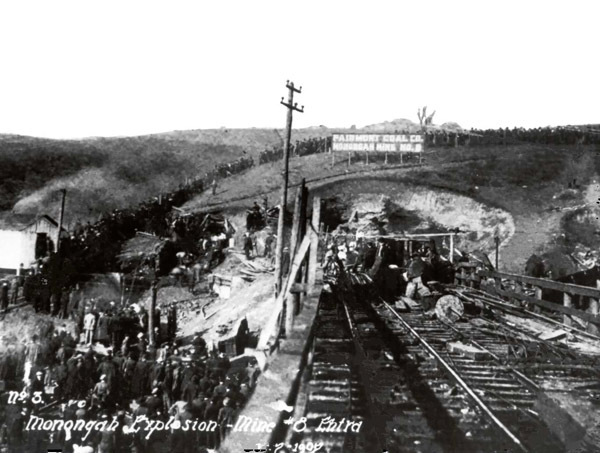 A fire in Cherry Mine in Cherry, Illinois killed 259 miners in 1909. In 1913 Stag Canon Mine number 2 in Dawson, New Mexico exploded killing 263 miners. These were the three worst coal mine disasters in the U.S. history, prompting Congress to establish the U.S. Bureau of Mines in 1910. The Bureau turned their attention to the new technology of electric lamps in an effort to curtail accidents through the elimination of flames and an improvement in lighting. 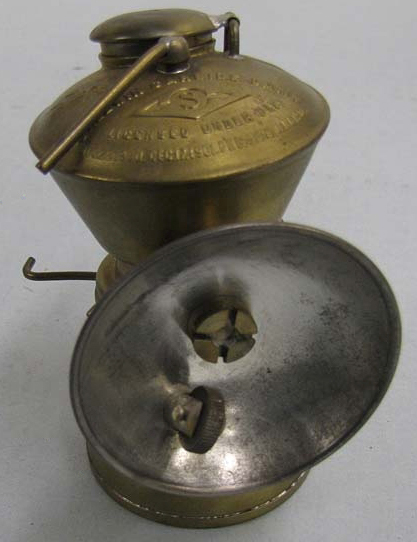 In 1915 the Bureau approved the MSA Edison Flameless Electric Miners’ Cap Lamp, beginning the age of electric mine illumination that correlated with a steady decrease in mining accidents from the high reached in 1907. Just like the soft mining caps that were used to hold oil-wick or carbide mining lamps, mining helmets were used to hold the new electric cap lamp. The lamp sat in a bracket at the front of the helmet, with the cord running along the helmet's crown, guided by a cord holder in the back of the helmet to route the cable directly to the battery pack worn on the miner’s belt. The protective helmets in the collection of the Division of Work and Industry of the National Museum of American History generally consists of two helmet types. Either the “Hard Boiled” brand of helmet made by E.D. Bullard Company in San Francisco, California, or the plastic Skullgard or Comfo-Cap manufactured by the Mine Safety Appliances Company of Pittsburgh, Pennsylvania. Carbide lamps were still used with hard protective helmets, but helmets that used electric lamps often had a cord holder to keep the cord out of the miner’s way. A form of this helmet and electric lamp combination is still worn today. Contemporary lamps include improvements in battery life and weight, a change to LED bulbs, and breakaway or segmented cords to allow the miner to be less inhibited by his battery pack.